Chinatown is one of Vancouver’s five oldest neighbourhoods, dating back to the mid 1800’s. Located on the eastern side of downtown Vancouver, Chinatown was developed in 1866. These first residents immigrated to Vancouver to work on B.C’s railroads and in the coalmines and sawmills. 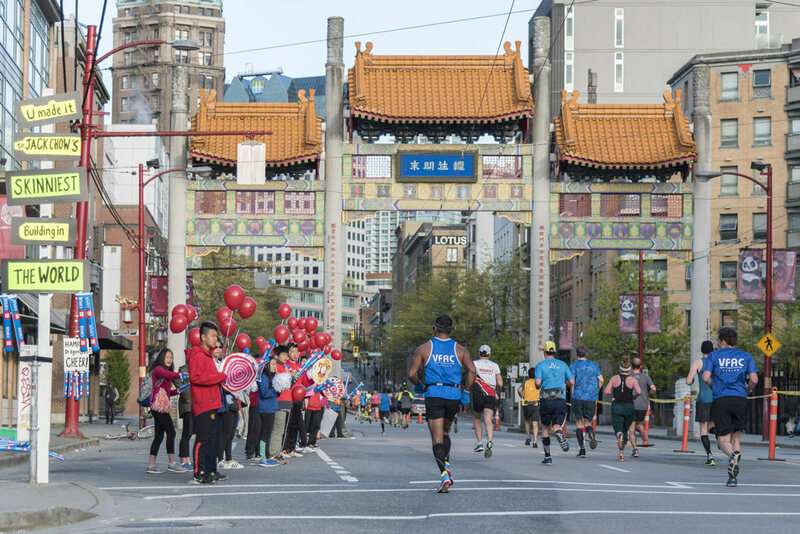 By 1890 there were over 1,000 members of the Chinatown community and in 1911, Vancouver’s Chinatown became the largest Chinese settlement in Canada with over 3,500 residents. Currently, it remains one of the three largest Chinatowns in North America. Today, this historic neighbourhood is a vibrant community representing proud Chinese culture and urban renewal. It is home to traditional restaurants, markets, and temples. In addition, the classical Dr. Sun Yat-Sen garden in Chinatown was rated the world’s top city garden and is frequented by locals and tourists. Chinatown also hosts annual Chinese New Year parades in January and February; the parades have over 3,000 performers and draw thousands of spectators to this cultural event. 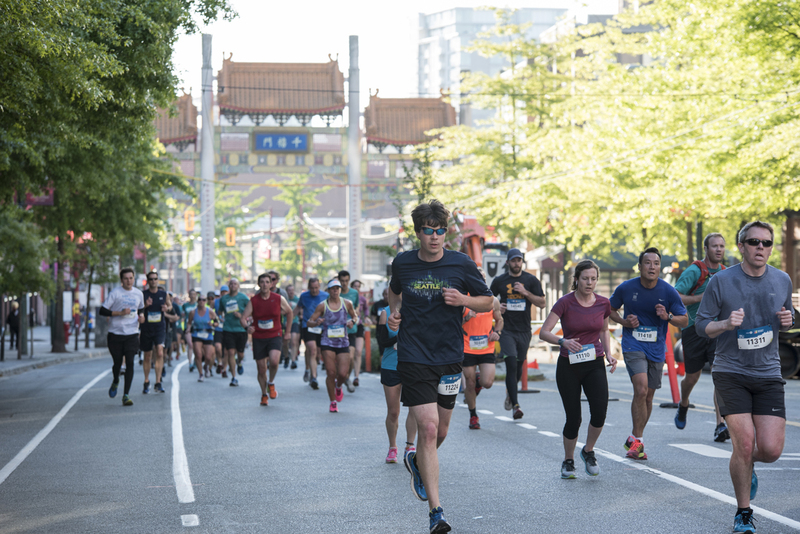 Half Marathon runners travel through 1.5 KM of Chinatown taking in the rich heritage buildings, authentic markets and also pass through the famous Chinatown Gate which was erected for the City’s Golden Jubilee. 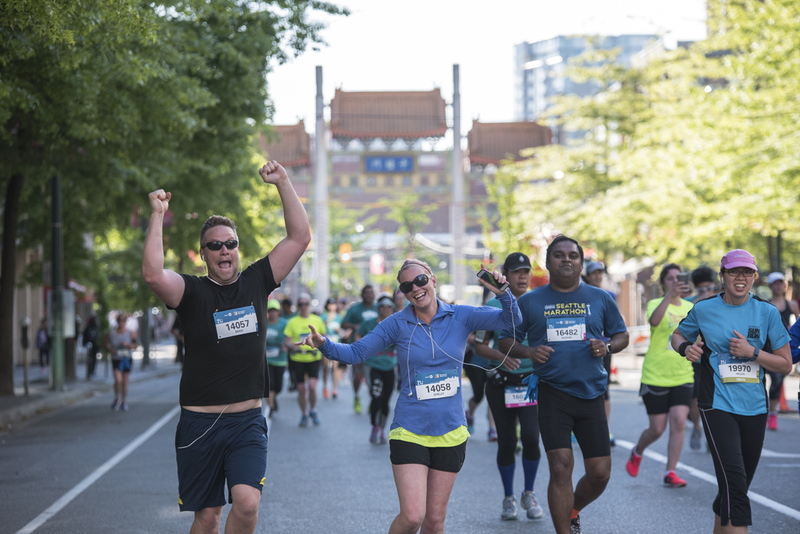 Half Marathoners are sure to be captivated by this short, but distinct section of their 21.1KM journey.